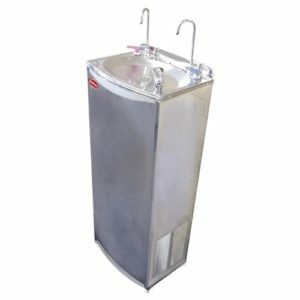 A water dispenser is something that you may have seen in offices, other people’s homes or while out and about. They are something that are easy to purchase on your own – if you wish to have one. This means you’re able to set the unit up, attach the water jug to the top and enjoy the benefits of having cleaner drinking water. If you’re going to be going camping for some time and you have electricity available at your campsite, hooking up your water dispenser can ensure that you have both hot and cold water for all camping adventures. This also means that you have a safe, clean place to keep your water during the trip since, it is so portable. You’re able to simply place it where you want it in your home, office, or gym, and use it in the same day because of how easy installation is on the dispenser. If you order one from a company, they generally will come out and do the installation for you. This makes bringing your dispenser home and getting the water you’d like much easier than you originally thought it was going to be.